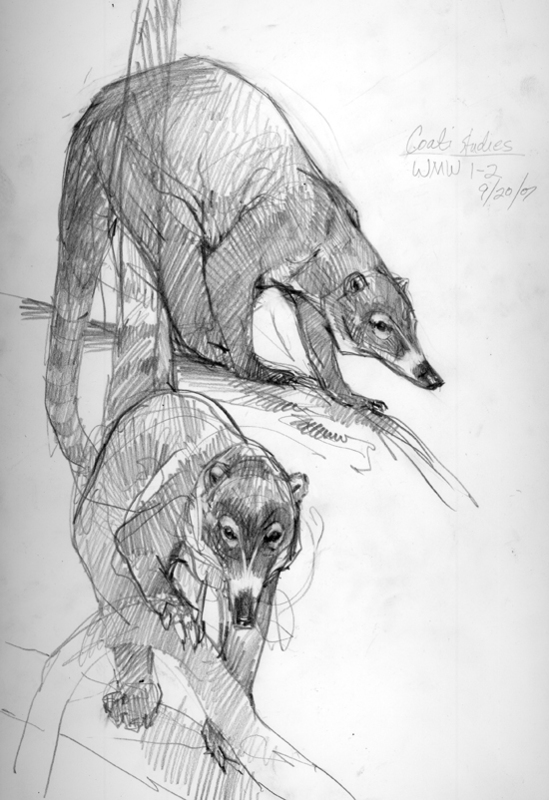 Coatimundis sketched on Barro Colorado Island, Panama. They are raccoon relatives, inquisitive with long rubbery noses and hefty claws for digging up bugs. 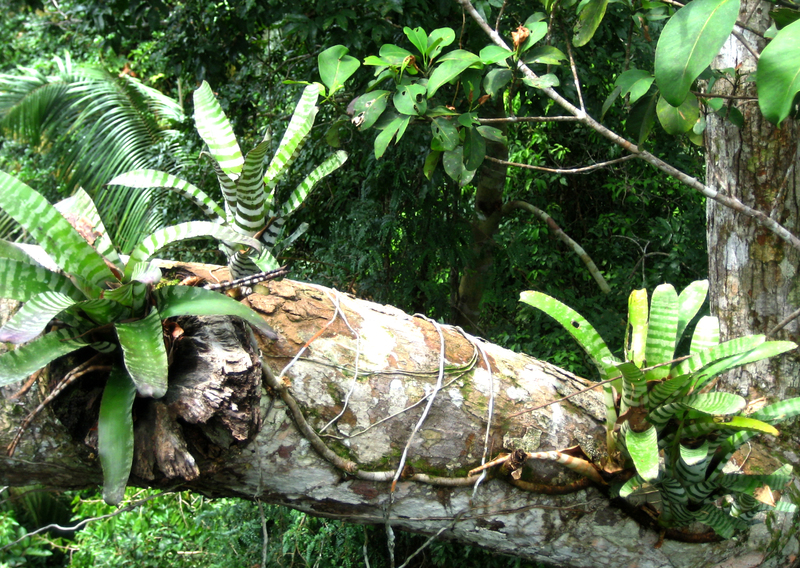 I took this shot from high up in the Amazon canopy. It’s a long way down from here.